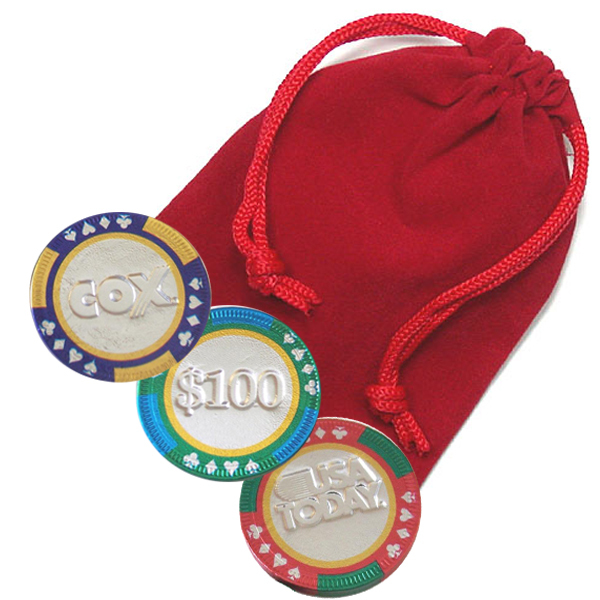 Make a delightful addition to your Casino Party with these fine 3” x 4” velvet bags carrying our personalized chocolate poker chips! 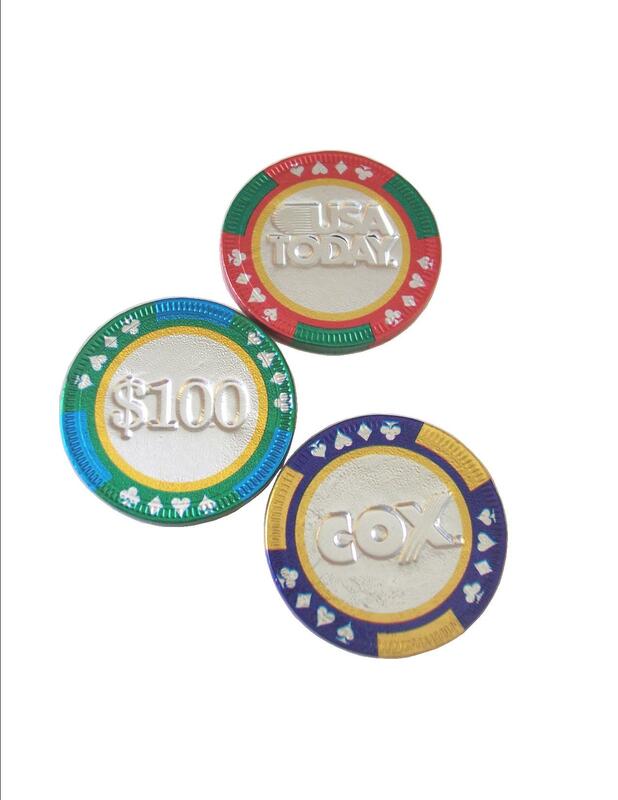 The chocolate casino chips have varying $$ denominations on one face and your specific logo, image or message on the other. Want to customize both sides? Just give us a call.